Beginning on September 4th until September 8th, numerous film makers and lovers plan to join together in support of independent film and the “Love of the Lens” as I like to call it. I am very much excited and plan to be quite busy watching more movies and sharing with you all of the fun and amazing efforts of the selections that will be presented during this growing film festival. That being said, I “interrupt your regularly scheduled programming” this week with posts solely dedicated to the White Sands International Film Festival. Starting today, each of the posts on this site will focus on the events of the film festival until its end on the 8th of September (next Sunday). What does this mean? A “pause” on the regular weekly segments of “Movie News Monday,” “Time to Vote Tuesday,” “New Posters of the Week,” etc. (With one exception: expect “Trailer Time Thursday” to post!) They will resume next week starting Monday, September 9th. TONS of coverage for the film festival will introduce you to plenty of great films. Interviews, spotlights, photos and more are planned along with more reviews (Reviews have already begun posting and will continue. Don’t miss them.). My Facebook and Twitter feed will be a mixture of both news for the WSIFF and regular updates on movie news as usual. So those of you expecting your regular updates of information on both fronts, stay tuned and be sure to be following on Facebook (HERE) and Twitter (HERE). Remember, be sure to visit/bookmark/share the WSIFF main coverage page HERE (or click the 2013 WSIFF coverage link at the top of the page) for direct links to all of the posts, reviews and interviews as this week will be tons of fun at the White Sands International Film Festival. See you there…and here! 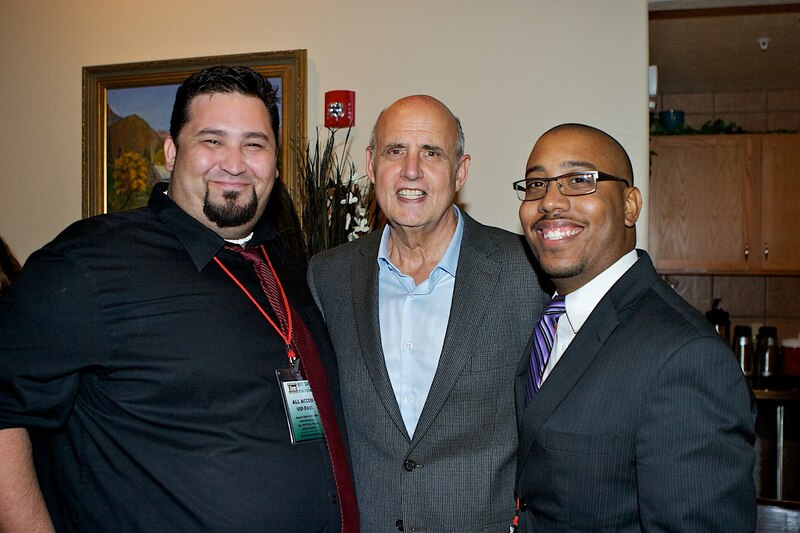 Myself with actor Jeffrey Tambor (winner of the Lifetime Achievement Award) and talented filmmaker Matthew Valdovinos at the 2012 WSIFF! This year’s Lifetime Achievement Award Winner is Lou Diamond Phillips. Thank you to all the filmmakers for sharing your work and passion with us. A big THANK YOU to the board of the White Sands International Film Festival for the support and opportunity to share the events and films of the White Sands International Film Festival. Thank you to The Pulse in the Sun News for running the articles that I wrote covering the festival in the month leading up to WSIFF. And to many other folks who have helped make the coverage here possible (including Dawn and her staff at Helping Hands). 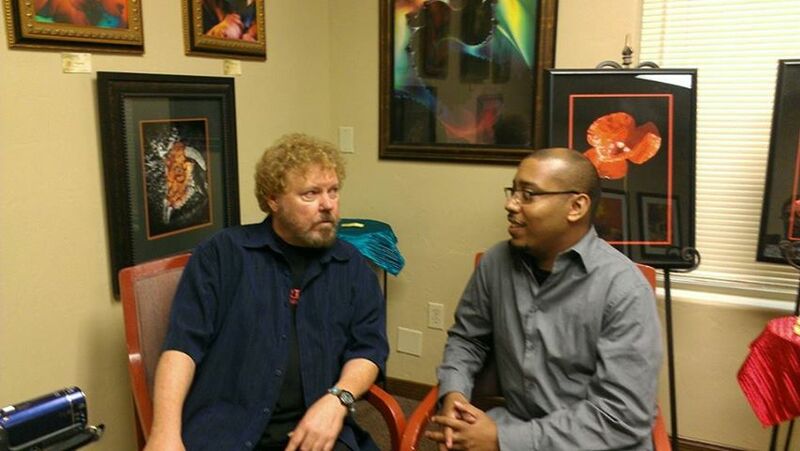 And a special Thank You to my friend, editor and supporter Tracy Roy.